Those who've never raced the Three Peaks often wonder what the riders encounter traversing the three mountains. Sure there are photographers and glimpses via onboard camera footage, but they rarely give the full picture. Editor Konrad Manning walked and ran the 38-mile course (over two days) taking images along the way. 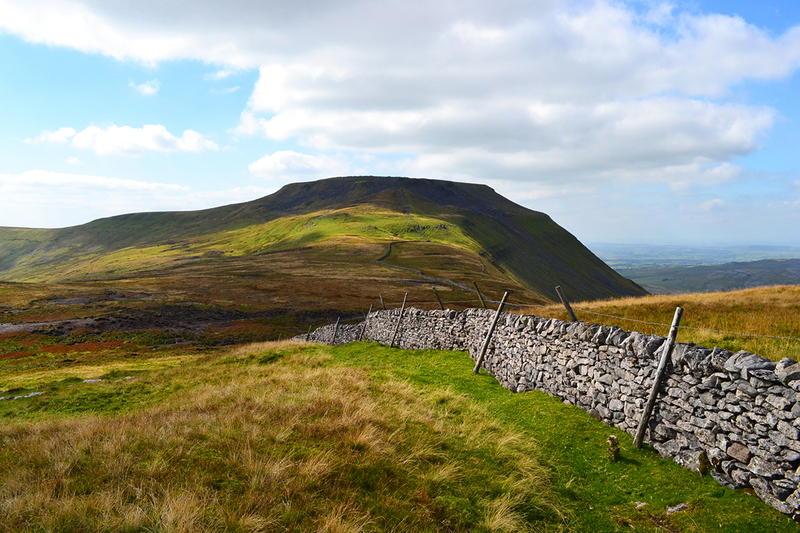 This is peak number one - Ingleborough. The unassuming start line in Helwith Bridge. The 'rolling' four and a half mile road section to the first off-road at Gill Garth is by no means easy. The turning onto the approach to Ingleborough at Gill Garth is an annual bottleneck. Beware. The cattle grid here can also cause some consternation and hesitation especially to first-timers. The first and often photographed first climb of Simon Fell. Yes, that is what you are going up. Squeeze between the limestone clints and you are onto Simon Fell proper. This is the steepest part of Simon Fell - the final push. It feels even steeper than it looks with a bike on your shoulder. Looking back - this is where you've just climbed from Gill Garth. The top of Simon Fell can be soggy and windswept. To the north is a glimpse of the second peak Whernside. Another bottleneck on Simon Fell has been improved by the construction of "Rawnsley's Leap." The view from "Rawnsley's Leap" - named after race winner and 50 years the organiser, John Rawnsley. Soon the actual summit plateau of Ingleborough looms into view. Riders probably won't get the chance to look, but this is the view off to the north towards Whernside. The first rocky part of the descent. Turning right off the main path and heading for Cold Cotes. Soggy - three weeks ago. Some of the faster parts of the Ingleborough descent - done in under 15 minutes by the fastest riders. The approach to the road at Cold Cotes. This is the mud that has caused some spectacular crashes - some caught on film.